Mental strategies to add to 10. All of us will use rainbow facts to 10. Most of us will use rainbow facts to 100. 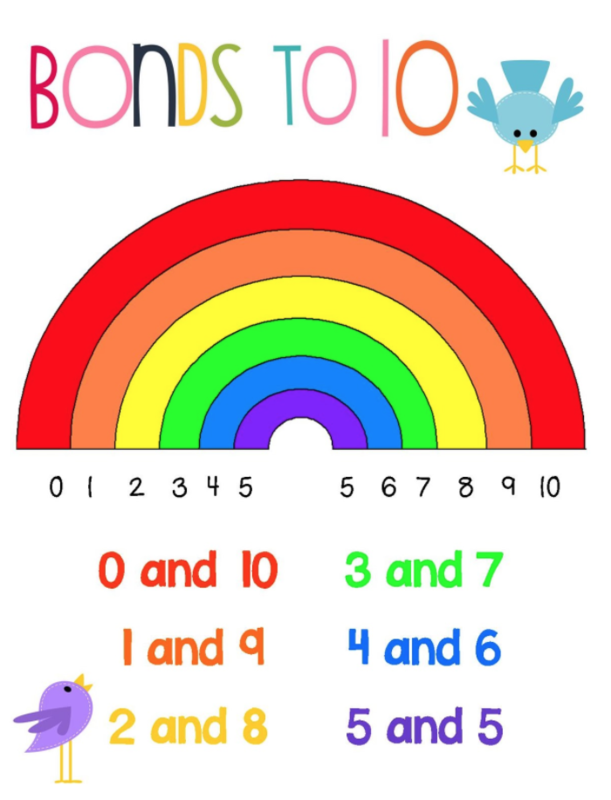 Some of us will use rainbow facts for subtraction. With a dice, practise your rainbow facts with a partner. ​This activity can be an individual activity, such as solitaire. Alternatively, it can be played by more than one player by keeping score after each round. A great fast fact game that kids enjoy playing! Aim – To remove as many cards as possible from the pyramid that add up to 10. Remove all face cards except the Ace – this is the number 1. Create a pyramid shape with 6 rows (like the photo above). Each row should slightly overlap the previous row. The remaining cards become the draw pile. The object of the game is to remove cards that ‘make 10’. Students can remove one card (being a 10) or remove two cards that add up to 10. The cards that are removed must be completely uncovered. Therefore, at the start of the game you can only remove cards that are in the bottom row. The cards that add up to 10 are placed in a discard pile off to the side. 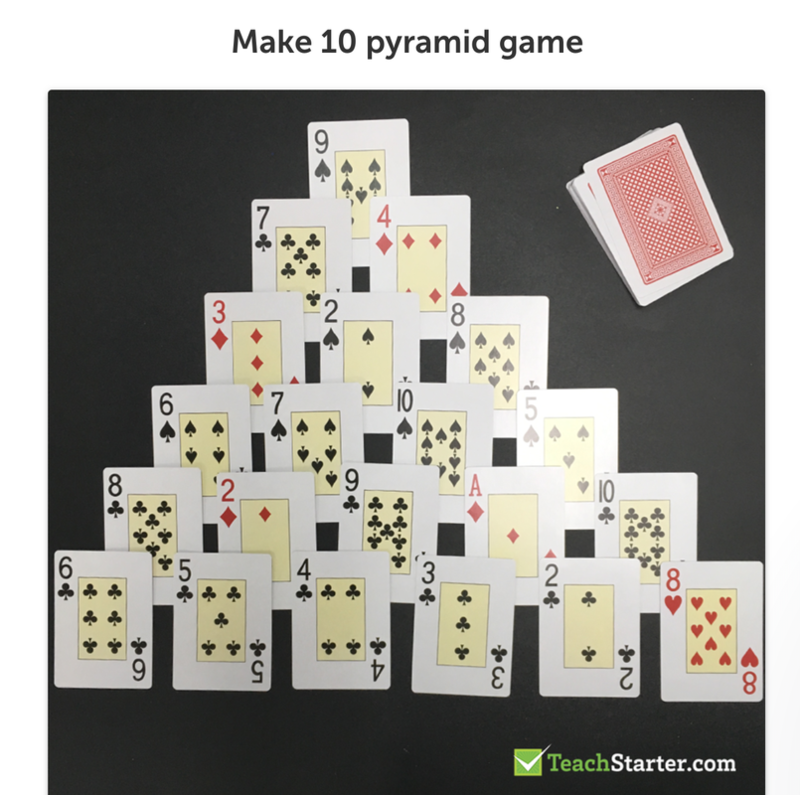 If a player can not make 10 with any of the uncovered cards in the pyramid, they need to draw a card from the draw pile and can use this card to ‘make 10’. If they still can’t make 10 they continue to draw until they can make 10. If the draw pile runs out, a player can shuffle the discard pile and draw from there. The game is over when a player can no longer remove cards from the pyramid. If playing against each other, the player’s score is the total of all the cards left in their pyramid. The person with the smallest number wins that round. Using a whiteboard and and iPad. Create a tutorial to teach somebody else about rainbow facts.